The City Tourism Office (CTO) here now eyes more inclusive tourism industry in 2015 by enhancing and improving facilities in existing sightseeing attractions that will also create more livelihood and employment opportunities for residents. “We have existing tourist attractions that only need to be magnified in order to reach the target beneficiaries and attain inclusive growth,” City Tourism Officer Cynthia Amurao stated Wednesday. She said they are hoping that the tourism industry will employ half of the estimated 60 percent labor force this year in the city. As part of their strategy, her office will focus on strengthening existing community-based sustainable tourism sites (CBSTs) through promotions. A total of P30 million required for tourism promotions is yet to be approved by the Sangguniang Panlungsod. Amurao said this is a challenge they are currently facing. Nonetheless, she is confident that the promotional strategy will translate to success with the full support of the management. Meanwhile, they are also looking forward to opening what is dubbed “diving tourism” along Honda Bay in northeastern part of the city, as well as aqua sports at the Puerto Princesa Bay in support to sports tourism. Coordination among key players has been started since late 2014, she said. Amurao further sees the need to sustain the increasing demand for agri-products due to food consumption of tourists. “We will also focus on agri-tourism because we believe that we need to produce more because we invite more visitors to dine with us,” she said. Meanwhile, Amurao dispelled rumors that the tourism industry declined in 2014. Though the official report is not yet up for release now, she confirmed that no closures of tourist accommodations had been reported in their office as opposed to what critics claim. 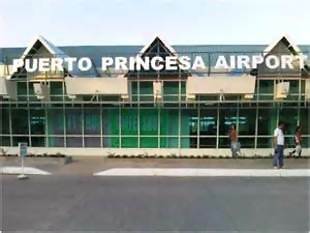 In an unofficial tourism statistical report, Puerto Princesa tourist arrivals saw a 6-percent increase, or around 40,000 in 2014 from a figure of 692,982 in 2013. In total, that was around 700,000 visitors last year. The figure is expected to grow with the expected arrivals of cruise ships in the city, she said, adding that tourist-related establishments have been preparing for this sudden influx. But what needs more preparation, Amurao added, is the maintenance of the environment which the city is known for worldwide.